Renting cargo van in Plovdiv is the best option if you wish to transport more luggage or products of your business. 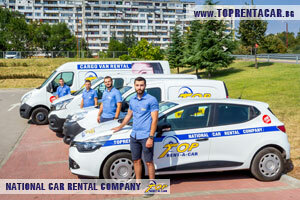 Top Rent A Car has various models cargo vans for rent in Plovdiv and serves deliveries in the city and the area. We have offices which complete deliveries in the region. If you need cargo van in Plovdiv book your vehicle directly on our website using the booking form or just call us at: +359 700 89 050. Our colleagues will provide full information about available cargo vans for rent or could make an individual offer according your needs. Choose the best cargo van for hire in Plovdiv at affordable prices. We offer cargo vans for rent in Plovdiv and the country since 2015. You can use Plovdiv as you pick up location for your hired cargo van. All our cargo vans can be driven with standard driving licence. Top Rent A Car offers cars and cargo vans for rental at unbeatable prices! If you are already our customer you will get discount for cargo van hire according our loyalty program. Top Rent A Car has various cars in its car fleet as almost all of the vehicles are brand new! 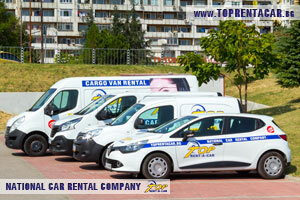 The cargo vans for rent in Plovdiv will make your work easier and will help achieving new tops. You can find more useful information about our cargo vans on this page. 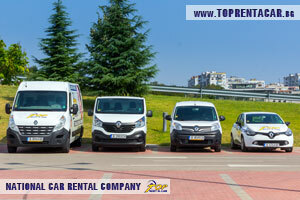 Top Rent A Car offers diversity of cargo vans vehicles in Plovdiv. You can complete your reservation on our website, by e-mail or on our national rental number: +359 700 89 050. Our colleagues from the booking department will be glad to assist you in case you need information or individual offer for renting cargo van in Plovdiv. With your rental cargo van in Plovdiv you can book and GPS navigation system or 3G Wi-Fi internet which will keeps you online all the time. You can find more information about our loyalty program with discounts here. Why choosing cargo van rental in Plovdiv from Top Rent A Car?